Soap is woefully underrated in my opinion, so it's great to see this staple coming back into our bathrooms. 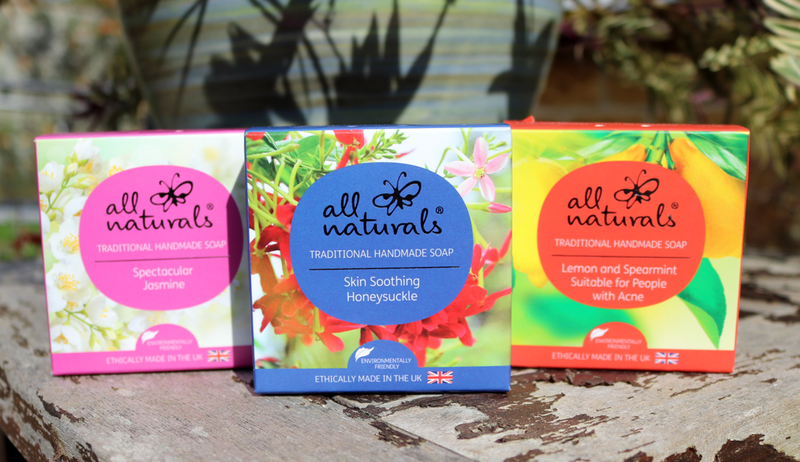 Lots of brands have been championing the humble bar of soap recently, including All Naturals who are set to launch in Boots within the next month. 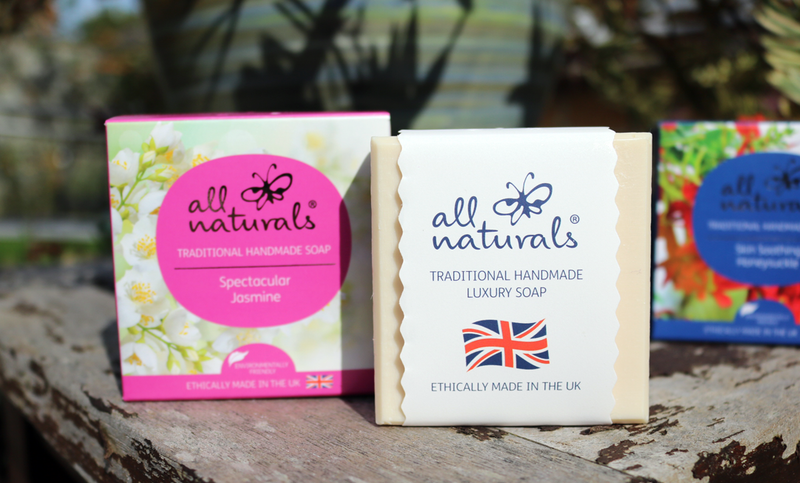 All Naturals are a British brand who make all of their soaps by hand in Nottingham using an eco-friendly and traditional cold-pressed method. Founded by Julita Geary back in 2014, All Naturals was born as a way to find something natural that she could use on both her own and her daughter's eczema. She began experimenting with different formulas in her kitchen at home, and discovered the many benefits of using key ingredients such as Olive Oil and Coconut Oil to alleviate the symptoms of eczema. The formulas worked and All Naturals quickly began to expand, creating soaps for a range of common sensitive skin problems and for babies too. My favourite of the three, Spectacular Jasmine instantly appealed to me as I absolutely love Jasmine scents and this soap smells incredible. It's formulated with a blend of high-quality natural oils and butters such as Olive Oil, Coconut Oil, Palm Oil, Glycerin, Sunflower Seed Oil, Castor Seed Oil, Shea Butter, Sweet Almond Oil, Jojoba Oil, Rosehip Oil, Cocoa Seed Butter, Beeswax and Vitamin E. It also contains Parfum near the very end of the Inci list which I was a little concerned about, but I haven't had any issues with it upsetting my eczema so far. This soap feels lovely and creamy on the skin, and the scent really lingers afterwards which I love. Suitable for all types of skin, Skin Soothing Honeysuckle uses the same soap base as the Jasmine one above, but has a fresh and uplifting Honeysuckle scent instead. It does smell a little 'powdery' to my nose though, and is something that I prefer using as a hand soap, rather than all over my body in the shower. As it has the same base ingredients, it feels just as moisturising and creamy as the Jasmine soap, which is great for dry skin. Again it does contain Parfum at the end, but I haven't had any problems with it. This one's been made especially for oily and/or acne-prone skin and whilst it has the same soap base ingredients as the other two, it also contains added Aloe Vera, Kaolin, Allantoin and Lemon and Spearmint Essential Oils (this formula is parfum-free). These extra ingredients really help to absorb excess sebum, rebalance and deep cleanse the skin, for a more purifying experience. I haven't used this on my face, but it works a treat for tackling 'backne' as my housemate can testify to! I really like these soaps, especially the Jasmine and Lemon & Spearmint ones. They do a huge range so I'm sure you'll find something that you love. My only criticisms are the use of Parfum in some of the soaps and the use of Palm Oil in the base formula, as although it's a natural ingredient, there are many in the green beauty world who disagree with its usage due to its links to deforestation and habitat loss. However, All Naturals have stated that they "carefully sourced all our oils from sustainable organic plantations and in the case of palm oil from accredited organic, RSPO-certified sustainable plantations". So it all depends on your personal preferences! I try to avoid palm oil but apart from that the soaps sound nice esp Jasmine. It's great to see these launching in Boots soon. 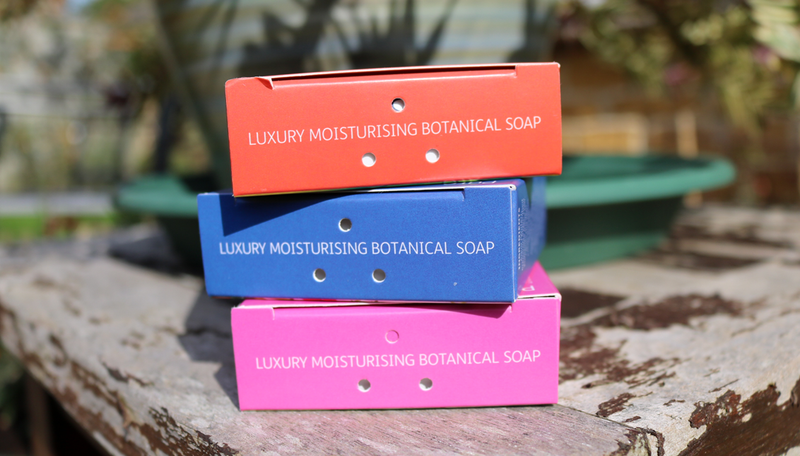 I love soap bars but tend to buy them online normally as there is not much choice on the high street. But it's great to see that things are changing now.